ABC DUI Online is a small, family run DUI school. We believe that the course should be education, not punishment, that’s why we created an easy to view powerpoint and set the prince at $89.99. Everything else: the timer, quiz question, account passwords, all are required by the DMV and Courts to be a licensed DUI school. My name is Brandon and my father Stephen Shaw created this online course 2 years ago, after teaching both motorcycle riding and traffic school at our local community college TMCC. We believe that the course should be education, not punishment, that’s why we created an easy to view powerpoint and set the prince at $89.99. Everything else: the timer, quiz question, account passwords, all are required by the DMV and Courts to be a licensed DUI school. We’re looking to become more widely known and seen as an easy alternative to jail. We want to be associated with education, learning and victim impact panel videos. But, that can only start with you. 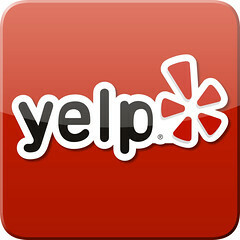 It’s incredibly easy to leave us a review on Yelp, even if you don’t have an account. The first thing you have to do is click on the Yelp icon above to take you to the American Traffic School of Nevada page. On the next page, it’s as easy as clicking the number of stars we deserve, writing a few short paragraphs about your experience with us and you’re done. Click “Sign Up and Post” and put in your basic demographic information. You’re done! It’s that simple. Just type in a few paragraphs on your thoughts about the course and what you think is our best aspect. Thanks for posting your review, each customer is valued by us!